Well hello there! 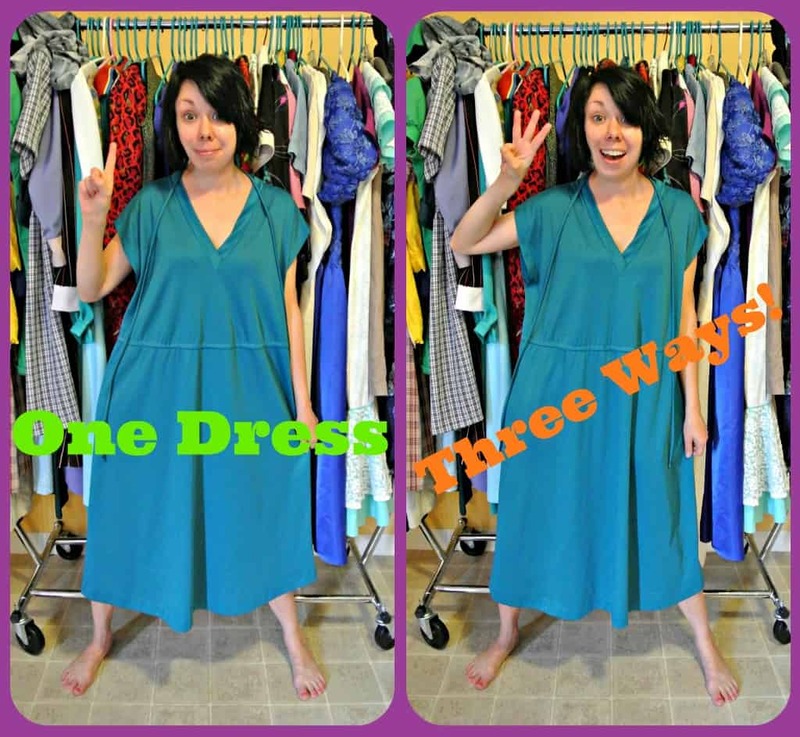 Do you remember that time about a year ago when I took on a One Dress, Three Ways challenge? You’ve seen me do refashions, but what about re-refashions or re-re-refashions?!? I think it’s time to resurrect this challenge! 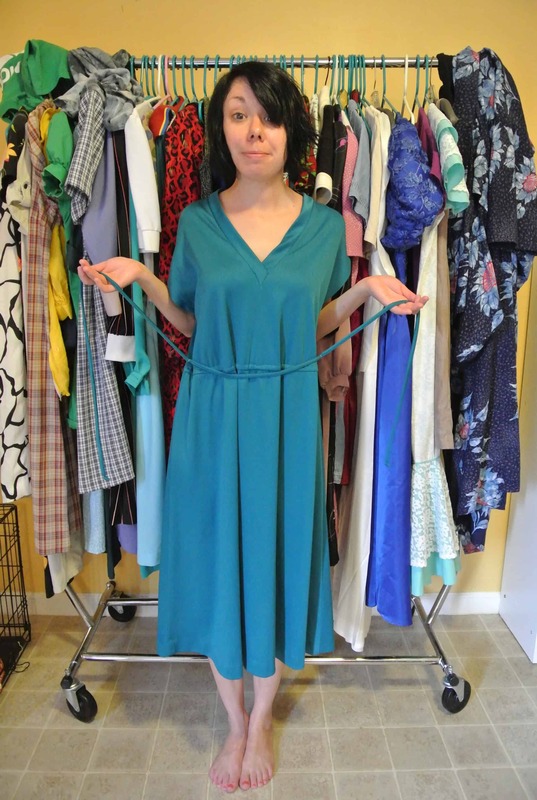 I started off with the polyester teal number you see above. 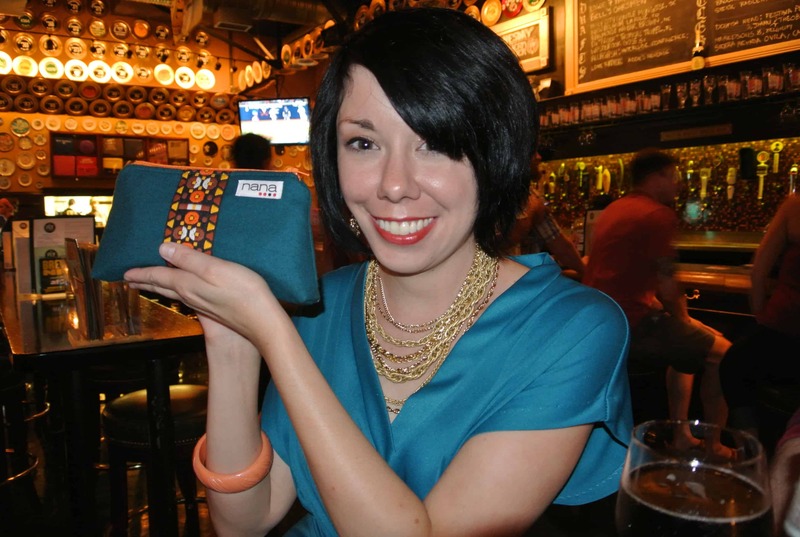 For ReFashion #1, I decided to go no-sew! This one is super easy! Then, I tied the string thing in the front, pulling the belt loops to each other. Please don’t throw a dart at me! 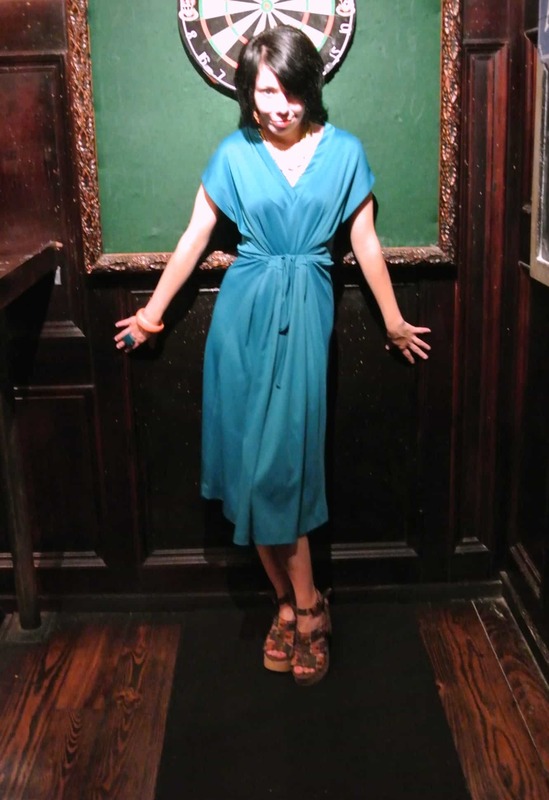 I got tons of compliments on my new dress and felt oh-so-very Grace Kelly all evening! Style one: simple yet effective. Looks great! You looked fabulous that evening, my friend! Great job on the refashion (as usual). Thanks for helping us celebrate Donald’s birthday. 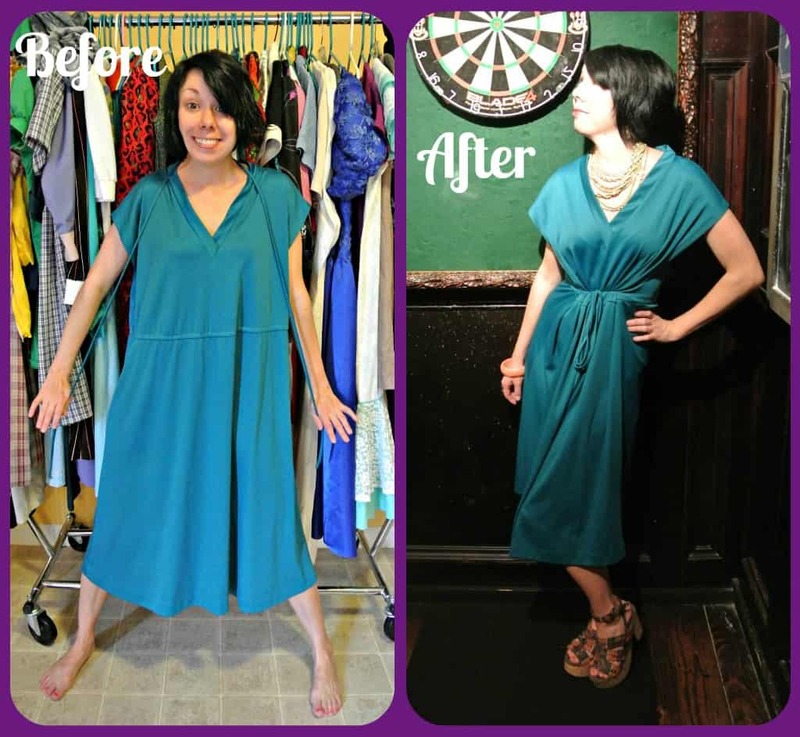 I love a good no-sew refash, and this one seems like it would be super comfy! I have to ask though, with the large-ish armholes pulled toward the front, was there any potential for wardrobe malfunction? Of course, I suppose that’s nothing a camisole couldn’t fix. Looking forward to style #2! This is definitely my kind of reality show. What are the other ways she’ll wear the dress? I’m on the edge of my seat! from blah to elegant! nice job! 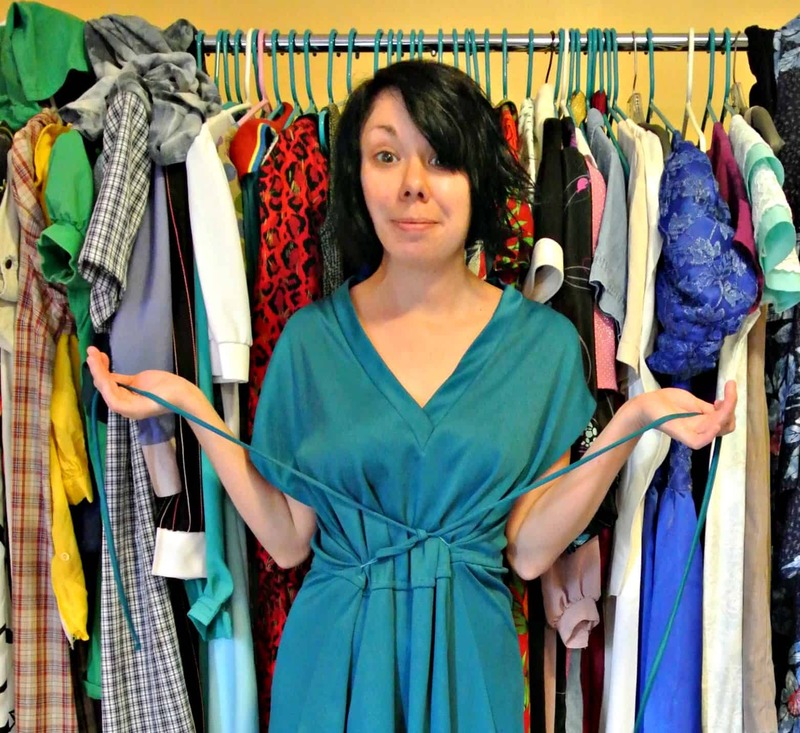 So of course you look absolutely fashionable and chic and I wish I was petite like you so I could actually pull off most of your refashions, but I was actually just reading another blog post and I remembered your challenge you issued yourself. I don’t know if you have the time to check it out, but I am trying to convince my hubby that he should try it too….I would love your input so that it could be something both of us could do.